Unfortunately, it looks like fans will have to wait before they can swoon over Henry Cavill and Ben Affleck’s beautiful faces on the same screen, as the release date of Batman vs. Superman is now being delayed for nine months. Director Zack Snyder seems to be taking his sweet time, with the premiere date set to May 6, 2016. Now, director Joe Wright’s Pan will take the superhero movie's place on July 17, 2015. So basically, that just means more men in tights. Really, who will know the difference? Although rumors of Affleck having a broken leg have since been debunked, Warner Bros. Pictures sent out a release to confirm that this time is being used so the filmmakers “fully realize their vision, given the complex visual nature of the story.” Right… complex. Come on guys, things are not going well for you. Now fans are just going to have higher expectations of the film. More time means a better end product, right? Despite the fact that Affleck did a spectacular job with his role in Argo among many other praiseworthy movies, the actor received negative criticism when it was first announced he would play Batman. Like most disappointed people would do — because we all seem to be less afraid to voice our opinions via the Internet — they took to social media about the matter. 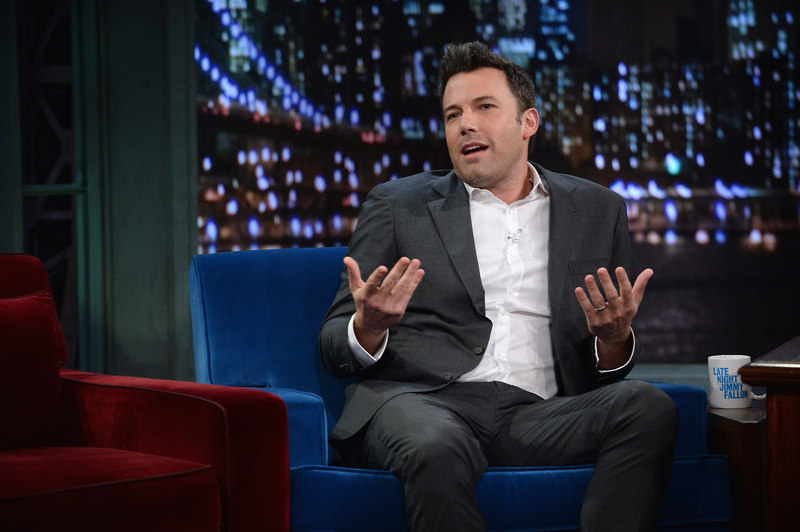 #BetterBatmanThanBenAffleck actually started trending earlier this past summer and Affleck made a point to defend himself on Late Night With Jimmy Fallon. Poor guy. Even now, the Twitterverse is spinning with disapproving comments. With early criticism over the choice of Batman and now a delay, the hype — if there really was any to begin with — will most likely take a downward spiral. However, that’s not to say that we should lose all hope for the movie. After all, it’s not like movie delays are uncommon in this day and age, and they don’t always impact films negatively. The Wolf of Wall Street was pushed from November 15 to Christmas day, and now the movie has been nominated for several Academy Awards, including Best Picture, Best Actor (fingers crossed for Leo) and Best Director. While we shouldn’t get our hopes up for Batman vs. Superman winning an Oscar anytime soon (because when does that happen for superhero movies? ), that does prove that not all delays are terrible. Similarly, movies like The Cabin In The Woods, which experienced a three-year delay, World War Z, with a six-month delay, and Gravity, which moved from 2012 to 2013, all received rave reviews. But then there were movies like Red Dawn, which also saw a wait time from 2009 to 2012, and pretty much crashed and burned. 12 percent on Rotten Tomatoes? Now that’s pretty bad. Not all of these films’ delays dealt with the creative process, as is the upcoming Superman vs. Batman movie, and many of them did well.